As March 29 approaches with no deal having been made between the EU and the UK, it is looking increasingly likely that the UK will crash out of the EU without a deal. His Department for International Trade made the revelation in a meeting attended by senior figures of the business industry, including Burberry, Mulberry and Hornby. 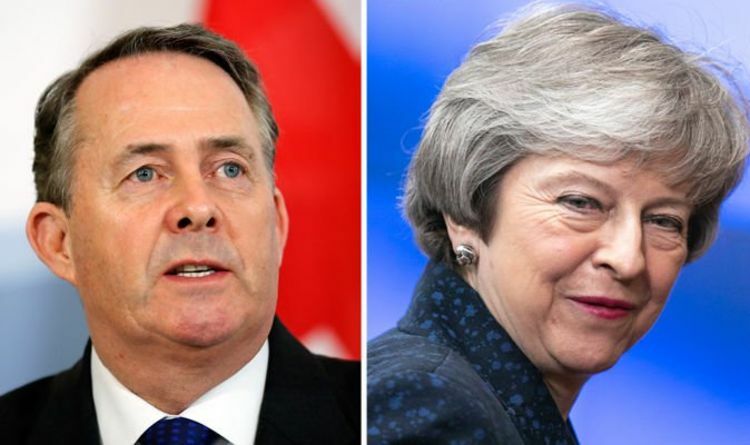 The minutes of the meeting said: “A panel member asked whether it was true (as claimed by Liam Fox) that there were 40 FTAs ready to go, just awaiting a signature and that the only delay was the EU Exit date of 29 March. "DIT said that there was confidence that some of those agreements could be signed ahead of exit date, although it was unlikely they would all be signed before the leave date. “This being so, there would not be continuity from day one of EU exit." Mr Fox has said in the past he would have “40 trade deals ready for one second after midnight” on March 29. He has also said before a "free trade deal with the EU should be the easiest in human history". The meeting organised by the government is one of several that the minister is hosting to assess how ready businesses are for a no-deal Brexit and to hear concerns. Many British businesses are stockpiling goods as March 29 gets closer and there are heightened fears that the UK will crash out of the EU without a deal. This comes as leaders from 32 businesses have written to the Government to express their “deep concern” over the resources they are having to divert to protect against the potential impact of a no-deal Brexit. The letter said: “Businesses throughout the UK food chain - and their trade associations- are now totally focused on working to mitigate the catastrophic impact of a no-deal Brexit. Today, the UK signed a Swiss trade deal guaranteeing the future trading terms between the UK and Switzerland. The agreement is designed to remove the threat of additional tariffs in trade between the two countries.